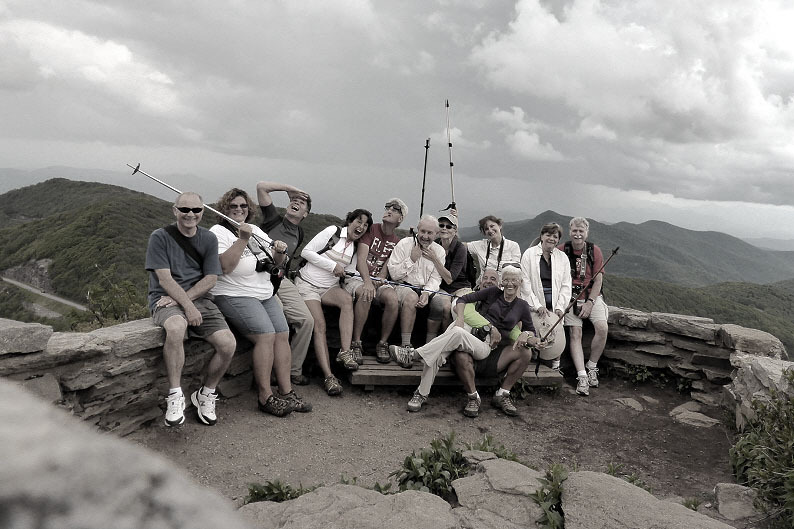 Almost every hiker on the Appalachian Trail gives up their name identity and takes on a new trail name. You won’t meet a Bob, David, Mary or Jane, but you’ll camp alongside Chili Willy, Little Fish, Veggie, Screaming Eagle, Blue Toe, Kerosene and Earth Muffin. I think it represents a new beginning and perhaps a way to leave everything that was once represented by “John Doe” or “Jane Smith” behind for a while. Bundled somewhere inside these trail names are the seeds of a new beginning, a fresh perspective, and a new way of approaching this adventure we call life. The same goes for the little band of gypsies that travel with us across the country in their RVs and campers. Two Lanes of Freedom has become our trail name. 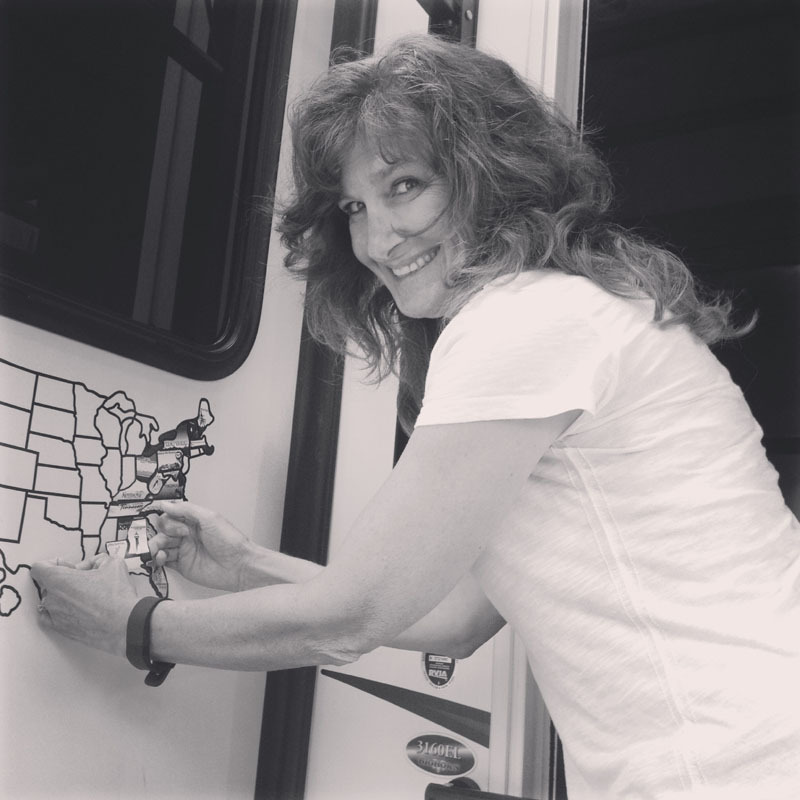 When we pull into a new campground we typically “check in” on the RVillage website (which is like the facebook for RV Travelers) and see who else has carved their names on the oak tree. “Techo-Gpysies are here – cool we’ll have to catch up with them again. Wheeling-It was here a few months ago. We would really love to meet those two fun fulltimers.” Sometimes we band together for a week or two and travel a while together. We’ll be exploring the Upper Peninsula of Michigan this summer with The Restless Youngs. Last year we discovered Maine with Bill and Nancy (We’ve got to do something about their Trail Name), Down the Road with D&T and Tawandas Tracks. Adding Louisiana to our map of states that we’ve traveled to with our camper. Camper Chronicles. Some of the best people we have met seem to come into our life at trail crossings. It’s happened on hiking trails on a peak of a mountain where a path from the north side crosses a path from the south. It’s happened along the Suwanee river when a mountain bike trail I was on crossed a hiking trail and we love it when it happens in campgrounds too. It happens so often, that now I look for it and get excited when I see a trail crossing in sight and eagerly look down the path in both directions to see if our new friend-to-be is coming. I value this crossing probably a bit more than I should, but when I think about the life map of trails, roads, decisions, choices and everything it took to bring us all to this exact moment, on this sacred spot, where two souls cross each other in the middle of the woods…. well that is just serendipity. Almost always something truly meaningful and heartfelt is exchanged and when we continue in our own direction there isn’t a goodbye, but more of a “see ya later.” We each drift out of sight with a quiet knowing that the path will somehow weave us together once again. Now THIS is some fabulous trail magic! 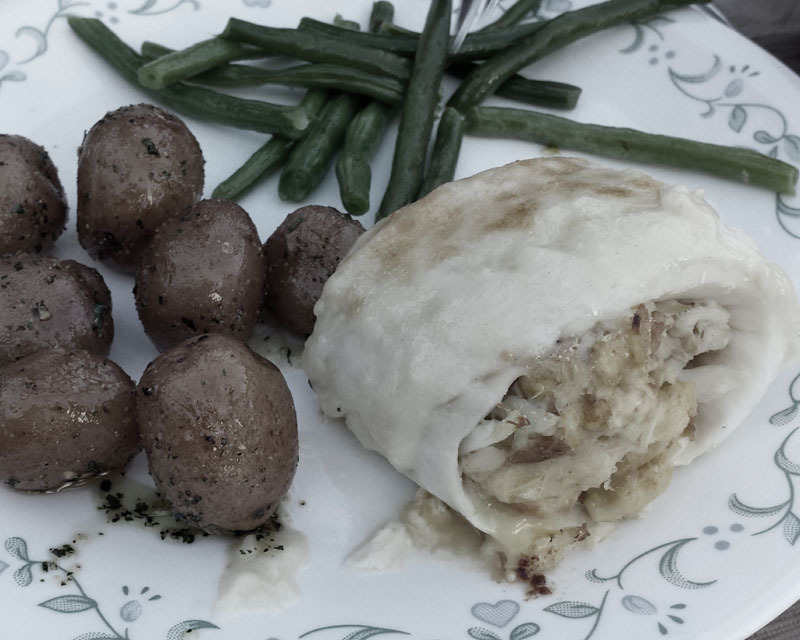 Crab stuffed Cod with new potatoes and green beans. Oh Yea!! and some other traveling friends (Crawfish and Cookie) brought by a tasty dessert. The trail magic we give to each other not only comes in the form of amazing meals and kindness but also in the many stories and blogs that we share with each other. I turn on my computer each morning and it feels like I’m on a treasure hunt. I lift up rocks to see who has left a secret message just for me. Today I learn about Newspaper Rock in Utah from Roads Less Traveled and get excited about the thoughts of getting out west. I search underneath Direction of Our Dream’s stone looking for a little more info about the U.P. 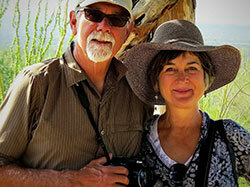 since they wrote some amazing stories about their adventures in that neck of God’s Country. I check on a couple of our fellow gypsies that all started traveling fulltime around the same time as us (MNDrifters, BK American Odyssey Down the Road with Deb and Steve, It’s Our Moment in Time, Our Rovin Journey, Jim and Barbs RV Adventure) to see where everyone is, hoping for another Trail Crossing. 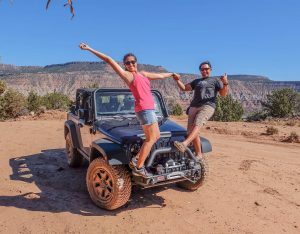 I pop over to RV Dreams and see where the couple who were a large influence in our path to this lifestyle are traveling to today. 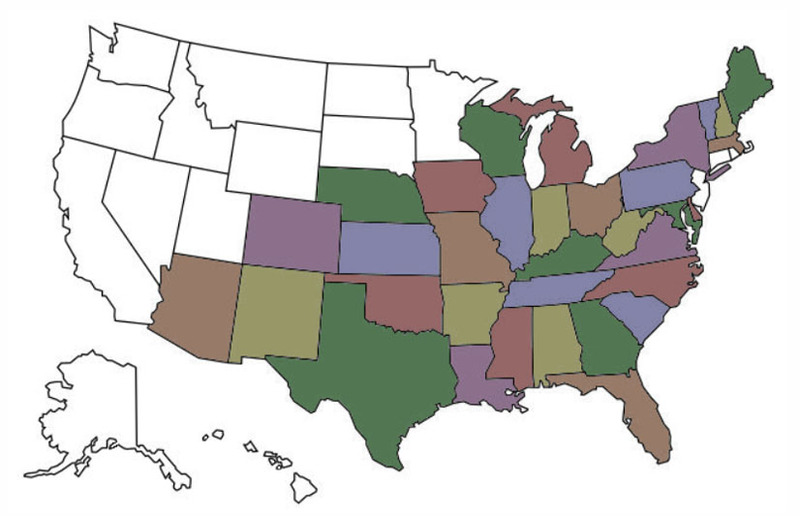 One day I really would love to hike the entire Appalachian Trail from Georgia to Maine. We’d probably change our trail name from Two Lanes of Freedom to something like “Two Blisters and Poncho”. But this morning I pour another cup of coffee inside my cozy rolling roof and decide it’s time to leave a little trail magic for you. May the path lead us together one day soon. Let your Trail Name fill you with new dreams and always…. try to leave a little Trail Magic for someone to find every day. Planning on visiting the New Orleans area anytime soon? We would highly recommend the Bayou Segnette State Park. It’s tucked away from the hustle and hassle of the city but conveniently located to Nawlins. 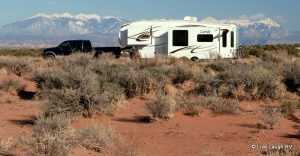 The campground is well laid out with large paved pads and lots of space between sites. 50 Amp service and only $28 per night. They have free wifi and free laundry too, which was a nice surprise. There’s a fish market right next door to the campground, so we enjoyed a fresh catch and $4 per pound shrimp. Since we were here during the French Quarter Festival we decided not to drive into the city but instead parked on the street in Algiers and took the ferry. It’s about twenty minutes away from the campground and the quick float across the Mississippi river only costs $2 per person. We took our bikes in one day (no extra ferry charge) and enjoyed peddling the french quarter side streets and out through the garden district. Great post – guess I missed it when it first posted! Thanks for the shout-out! Awe… you are one of the leaders in our pack. Can’t wait for our next trail crossing!!! It’s the trail crossings that bring meaning and direction to our travels, and even what make them the most memorable. Natural beauty and striking history are so valuable, but there’s nothing like the value of a soul. Very cool that you were able to meet up with Lee and Trace! We are planning a trip from Utah up to Ontario Canada, east to Nova Scotia then south to Florida during the summer and fall of ’17. Hopefully our paths will cross on that trip! Sounds like a wonderful way to spend a summer. Happy trails! Love it. Stewing and stirring the pot for suggestions on Bill and Nancy’s new trail name. You are both so gifted with words….love reading your blog, and look forward to when our paths cross. Love and hugs to you both! Thank you Pam! Say hey to Red from us. So beautifully written! Next year we’ll be making out way back to the east coast and hope to finally cross paths! Yes!!! so we can ask y’all about your amazing adventures on the west coast 🙂 Hope to scoot a bit westward next year. What an awesome way to put our lives into perspective!! I wish our paths crossed more often!! We will be traveling with Jo and Craig this summer in the UP as well! I will check the calendar to see if we are all there at same time!! Hope to get to see y’all!! Wouldn’t that be wonderful. Just read that Michigan’s motto is “Si Quaeris Peninsulam Amoenam Circumspice” which means: “If you seek a pleasant peninsula, look about you.” Hope to see you and Banjo again in the land of the Great Lakes!! Awesome post!! Made me smile…and looking forward to our trails crossing!! Thanks Jo. I’ll be looking down the path for ya up in Michigan!